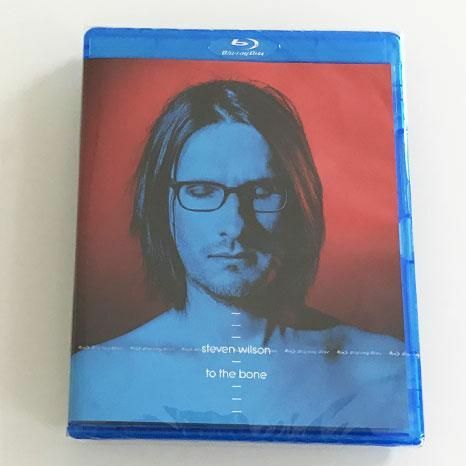 STEVEN WILSON - TO THE BONE (BLURAY) | Online Shop | Wizard LTD. Album: "TO THE BONE (BLURAY)"
Steven Wilson has announced details of To The Bone – his expansive, brilliant fifth album, a gloriously dynamic modernist pop record as imagined by the UK’s biggest underground artist. The follow up to 2015’s Hand. Cannot. Erase. (""a smart, soulful and immersive work of art"" the Guardian 5*), To The Bone is Steven Wilson’s first album since signing with Caroline International (Iggy Pop, Underworld, Thurston Moore, Glass Animals). Formerly the founder and mainstay of outsider rock band Porcupine Tree, Steven released his first record under his own name – Insurgentes – in 2008. He has been resolutely independent throughout a three-decade career that’s made him the most successful British artist you’ve never heard of.